During the holiday season, from Thanksgiving dinner through New Year’s celebrations, people who rarely spend time in the kitchen may be more likely to pick up a cookbook and make some cookies. Or, they may be stuffing their first turkey for Christmas day family dinner. Or possibly trying out a new appetizer for the office party—maybe even ceviche. (For those how may be unfamiliar with the term, “ceviche” it commonly refers to a shrimp or fish dish where citric acid, typically in the form of lemon juice or lime juice, is used to marinate raw fish or shrimp, often giving the appearance that the fish has been cooked.) Ceviche looks opaque and firm. But it is not cooked. The bacteria or viruses that may have been in the raw product have not been cooked away. They are still there. I have seen recipes for “faux ceviche,” that include cooking the shrimp or fish, but traditionally, it is not a cooked product. Consequently, it is risky. Ask your host or hostess if you are not sure of what they are serving. Here is some guidance regarding foods or ingredients you may consider eating raw, whether you are a new cook or a seasoned cook who has always “done it this way” and “NEVER made anyone sick.” Keep in mind that your family may include very young children, the elderly or a chronically ill family member who may be at greater risk for the more severe consequences of a foodborne illness. So while you, a healthy adult, may be comfortable throwing caution to the winds and eating raw fish, uncooked cookie dough or even a taste of raw stuffing, the higher risk members of your family/friends circle really should not do this. Be careful with raw eggs. Raw eggs contain Salmonella. Not every egg. But no use betting on it. If you are choosing a recipe, such as eggnog, which calls for uncooked eggs, there is a safer alternative. Even if everyone is a healthy adult (and do you really know if they are all “healthy”? ), it might be best to use a pasteurized egg product. 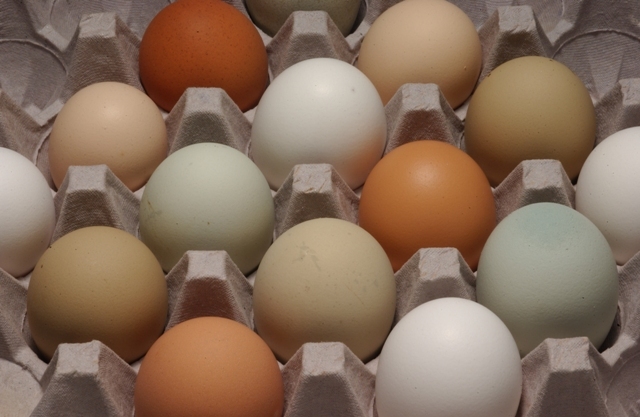 They are often sold by the carton in the refrigerated egg or milk case. Otherwise, you might want to use a recipe for eggnog that preheats the egg to 160 degrees F to ensure that eggs are cooked sufficiently. Here is one from FoodSafety.gov: https://www.foodsafety.gov/blog/eggnog.html. Unfortunately, contrary to some popular cooking shows and magazines, adding alcohol to eggnog does not kill the Salmonella. Watch out for raw doughs and batters. We have all heard the warnings to avoid eating raw cookie dough—even though we may have all done it at one time with no apparent ill effects. Raw cookie dough or raw batters containing eggs share the same risk as raw eggnog. This would also be true of raw cookie dough that you might add to homemade ice cream. Commercial makers of cookie ice cream and other foods will use pasteurized eggs in their products. There is another potential risk to eating raw batters and doughs that you may not even be aware of. It is the flour. Yes, the flour. Flour is considered a raw agricultural product. It has not been treated to kill potential foodborne pathogens (microbes that cause illness). Since 2008, there have been five foodborne disease outbreaks tied to flour, two in Canada, one in New Zealand, and two in the US. So, even if a dough contains no eggs (pastry dough, for example), it is best not to eat it raw. Think twice before serving raw meat, fish, or shellfish. Honestly, I like a raw clam now and then. Some of my food safety colleagues look on aghast while others join in. Maybe you prefer raw oysters or sashimi. However, I do this knowing the risks I am taking. I do it rarely and only when I think the purveyor has been meticulous—and I still know there is a risk! Lots of folks do not know or understand the risks. Bacteria, such as Listeria, Salmonella, Vibrio vulnificous and parasites that include tapeworm and Anisakid nematodes may be associated with raw fish and shellfish. Again, if you are healthy, and visit restaurant or seafood retailers who are very careful, your risk may be less than that of an immune compromised adult or young child. However, the risk is never zero. So, during the holidays, choose a faux “ceviche” recipe that involves marinating cooked shrimp or fish. Serve oyster stew or clams casino that have been checked with a food thermometer. If your holiday recipes include some of these risky ingredients, keep in mind that you can spread the pathogens that cause foodborne illness during the preparation steps. When you are cranking out trays and trays of cookies or appetizers, you need to practice the basic sanitation skills that will keep your food safe. Always use clean hands when handling any raw food and wash them again after handling that food. Use clean surfaces, cutting boards, knives, mixing spoons or other utensils: then wash them thoroughly in hot, soapy water before using them to prepare other foods. If that flour you used to dust the pie shell gets spread around or the raw egg drips onto the counter where you are decorating sugar cookies, it could end up in your salad or on your kid’s hands (which at some point will end up in their mouth). Check the clock as you are baking and try not to leave doughs (or other raw ingredients, for that matter) out for more than four hours at a time. This allows the pathogens to multiply, increasing the risk for cross-contamination. Finally, every cook is told to taste their dishes before presenting them to the guests. It’s one of the first questions asked of competing chefs on the cooking shows: “Did you even taste this?” But, please, do not taste until the risky ingredients are cooked through. I will never forget a Christmas Eve in my childhood when Mom had made the stuffing, containing raw sausage and eggs, the day before. She always liked to taste the raw stuffing. (Right!) She spent Christmas day in bed….and the bathroom. For more information about safe food preparation during the holidays, visit our website at www.foodsafety.uconn.edu, or foodsafety.gov, or contact the Home and Garden Education Center at ladybug@uconn.edu or 1-877-486-6271. This entry was posted in Education, Family, Food, Food Safety, Health and tagged ceviche, cooking, food, food borne illness, food safety, Salmonella, UConn Extension.